I Love this font but is their a color chart? Says special of $5.97 but shows in cart at $14.97. ho ordinato 2 alfabetti in offerta da$ 5,97 però quando gli ho scaricati erano di $ 14,97 ma allora perchè questo aumento? e se così fosse non mi state prendendo in giro????????????? This is such an adorable alphabet. Thank you. What an absolutely darling set !!!!! This is sooo cute what size is it? These are cute for winter. What size hoop do they use? They are absolutely adorable! Love it! 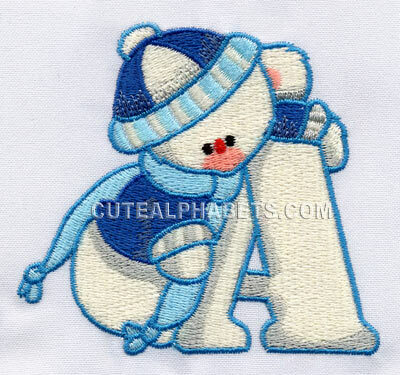 What a lovely winter alphabet!